Late last month, we reported on a rumor that Matt Reeves’ The Batman would be an adaptation of Frank Miller and David Mazzucchelli’s Batman: Year One, with a younger actor replacing Ben Affleck as the Dark Knight and a similarly young person playing a pre-Two-Face version of Harvey Dent. The rumor seemed like it had some holes to us, though, if only because Year One was clearly the basis for Batman Begins already and because the Harvey Dent stuff from the original comic was already a clear inspiration for the Harvey Dent stuff in The Dark Knight. Basically, if Reeves was being given a lot of freedom at Warner Bros. to tell the Batman story he wanted to tell, it would be very weird for him to tell a story that had already been told. Today, Reeves directly shot that rumor down, saying at a Television Critics Association event (via Deadline) that Year One won’t be part of his film. He says it’s one of his favorite Batman comics, but he doesn’t want to do “any origin tales or anything like that.” He won’t give much information about what he is doing, but he says it’s an “emotional” story that involves Batman getting a chance to be “the world’s greatest detective.” That all implies that we won’t have to sit through yet another retelling of Thomas and Martha Wayne being murdered, which would be great. Spider-Man: Homecoming got away with skipping “with great power comes great responsibility,” so The Batman can get away with skipping the token shot of a broken pearl necklace hitting the rain-soaked pavement of Crime Alley. In other vague The Batman news, Reeves says Ben Affleck is “still involved” in some way, though we still don’t know if he’s starring, and this movie will connect to the larger DC universe in some way. If Reeves is taking requests, we’d like his movie to skip the stupid Batman V Superman conceit that Gotham and Metropolis are right next to each other. Also the stupid way that Batman V Superman made Batman is a murderer. Actually, let’s just ignore Batman V Superman completely, alright? 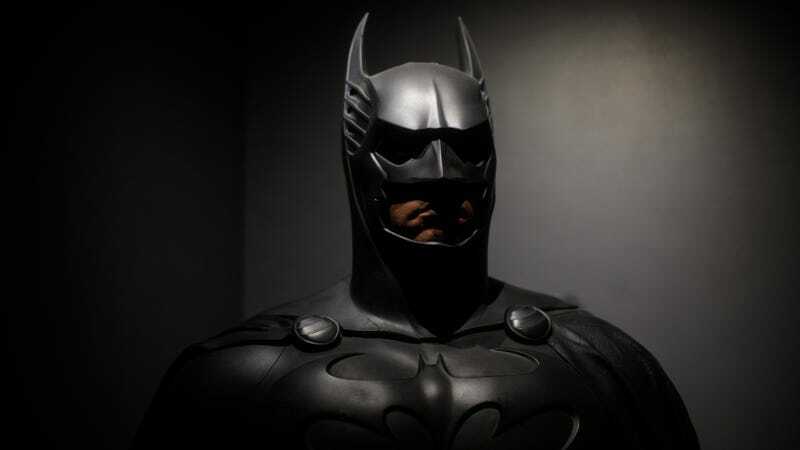 It&apos;s Rumor Time: Is Matt Reeves going back to Year One for his Batman movie? UPDATE: Matt Reeves says his The Batman won&apos;t be part of DC&apos;s "extended universe"